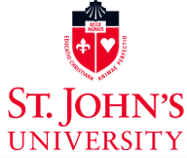 This campaign ended on November 30, 2015, but you can still make a gift to St. John's University by clicking here! Alina Rizvi gave $34 because 6 donors made a gift in 20 days. All it takes is one day for history to happen. In 1 day, 34 New Loan Applications were filled out by borrowers in the Philippines! This is a first in GLOBE History! GLOBE (Global Loan Opportunities for Budding Entrepreneurs) is a student-managed microloan program here at St. John’s University, providing loans sourced entirely through donations to entrepreneurs in the developing world. GLOBE currently operates with borrowers in the Democratic Republic of Congo, Kenya, Nigeria, Nicaragua, Vietnam and with YOUR help, we can expand into our 6th country, where new and hopeful borrowers await us in the Philippines! We are so excited for this new opportunity and we can’t wait to share it with you. GLOBE is asking you to join us as we embark on our 2nd campaign #GLOBEgoesfor6. Help us reach our goal of $3400 in honor of our 34 New Loan Applications in the Philippines! Every gift matters, every dollar goes a long way! With YOUR help, we can move into our 6th country! With YOUR donations, we can continue touching the lives of our borrowers. Please join us as #GLOBEgoesfor6!